War Plague Long-Sleeve T-Shirt w/ sleeve prints Color black, with full color printeing on front, back and both sleeves. 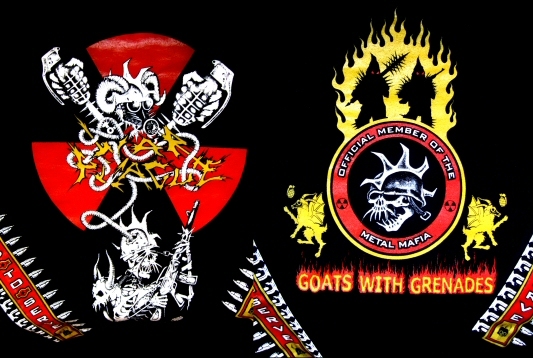 Back of the shirt states: "Offiical Member of the Metal Mafia" and "Goats With Grenades". We found a box of these shirts hiding from our last move, only a few remaining. When they are gone, THEY ARE GONE FOREVER!